Coyote Student News, the College of Southern Nevada’s online student newspaper, celebrates its sixth anniversary. The publication started in 2012 and since has turned out many professional journalists. 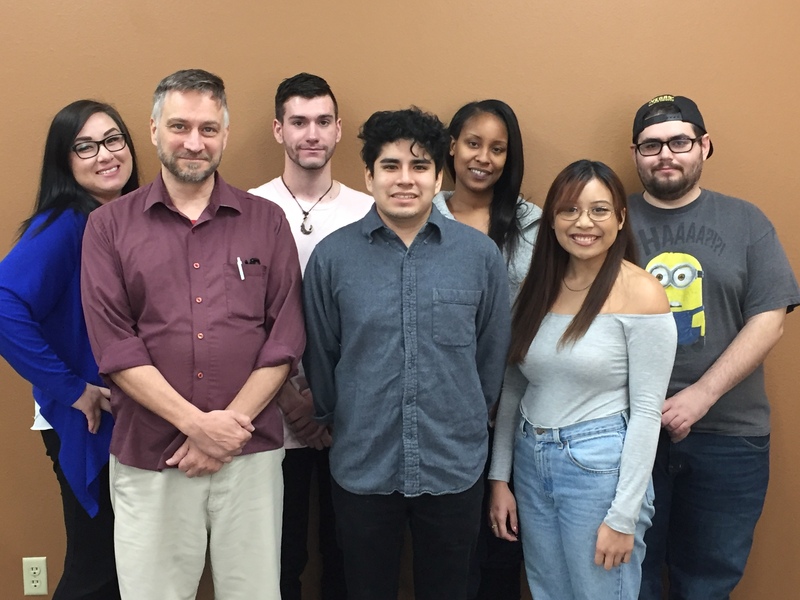 Ricardo Torres, who was a copy editor for Coyote Student News fall 2012 and editor-in-chief spring 2013, learned the journalistic process in JOUR 105 News Production I—the class whose students write for Coyote Student News. Torres is currently a reporter for Greenspun Media Group’s The Sunday covering police and crime stories. His recent coverage on the shooting in Las Vegas on Oct. 1 was in-depth and compelling. It wasn’t the first time one of his articles made headlines. He also covered the CiCi’s Pizza shooting a couple years ago. That local story went national with some of Torres’ reporting. Coyote Student News has approximately 130,000 views from readers in more than 120 countries including far-off nations like Uzbekistan. Most of its readers come from the United States, Canada, China and Mexico. Through the several semesters the program has been running, approximately 200 students have taken the course and produced articles for the website. Other students found Coyote Student News as a launching pad for their careers. Fabiola Marzano, who was a staff writer fall 2012 for Coyote Student News, went on to become a broadcaster for MundoFox and News 3 as a producer. She covered breaking news nightly at 5 and 10 p.m. for nearly two years. “Coyote Student News helped me find myself and find my passion,” Marzano said. Her experience at the publication gave her courage to go after tough stories. It started with her first piece she wrote for the website called “CSN Baseball Revitalized by Coach Garritano.” She managed to get a highly-sought after interview with the popular new coach. That article is one of the most well-read pieces on the site. Ashton Hall, who was managing editor spring 2013 for Coyote Student News, went on to work at Vegas Seven magazine, a Las Vegas lifestyle publication, and goHunt, a website that covers the outdoors and hunting. She is now an associate editor using her writing and editing skills daily. Jennifer Mitchell (formerly Sequeira), CSN journalism professor and adviser of Coyote Student News, was charged with the task of creating a new print and online program at the College fall 2012. She went digital with the newspaper to expand reach and access. Her goals were to teach students how to craft ethical and accurate journalism. She holds the students to a rigorous reporting and fact-checking process and spends countless hours working with students to increase their skills.